Have you ever had to draw a hard line with the “tinsel” in your life? You know, those little, seemingly harmless things that quickly take more than their fair share of attention? 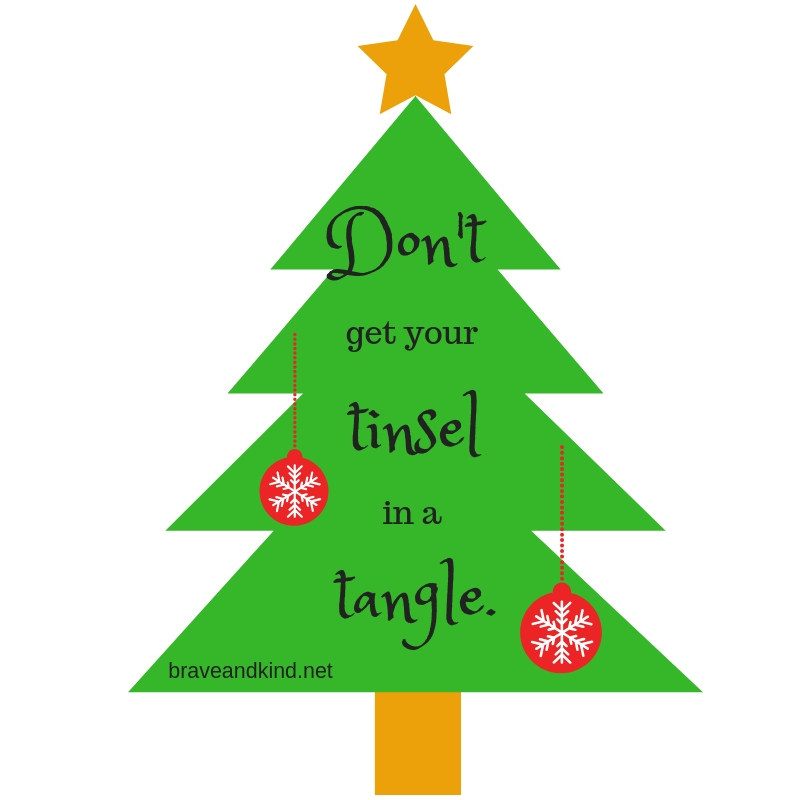 I sometimes think I have to jump in and fix every subtle snag in my life before it gets completely out of control, but more and more I’m realizing that when I pause and take a moment (or a day or a week) to be still and let life carry on without my dramatic intervention, the tinsel sort of works its way out. If that doesn’t help, you can always try my second approach which is to uninvite all tinsel to the party. Not sure if it will listen, but it’s worth a shot. You are tangled. The last week or so has been a rollercoaster– and not the fun kind from Six Flags. I’m talking about the “Oh my gosh, I think I’m going to vomit from motion sickness” kind of rollercoaster. My husband’s team faces a really tough opponent: Boo. My husband’s team wins: YAY! My son has mono: Boo. My son miraculously recovers from mono: YAY! I get in a disagreement with someone I love: Boo. We make up and everyone is happy: YAY! So right here, right now, I’m declaring a no tinsel Christmas. If you decide to behave, you may join the festivities next year.